LANDWorksCAD found its way into the market on the Windows platform about 12 years ago. It is a very capable tool for landscape purposes and in our opinion more flexible than anything else on the market including products running on Windows. It is definitely easier to learn and is now natively available for Mac and Windows. 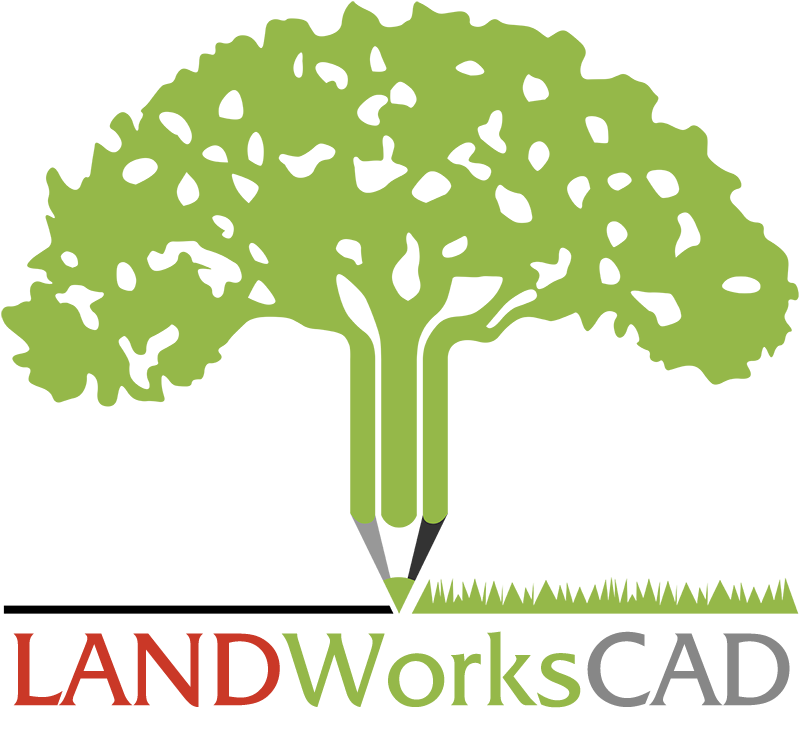 The new LANDWorksCAD is built on the latest version of RealCAD for Mac that pundits say is an elegant design that feels entirely fresh, yet inherently familiar. Certainly the new look and feel of this new version 7 is precisely that. RealCAD is one of the favorite CAD products with many of the team here at AppleCAD and so it naturally follows that an application using RealCAD at its core is likely to get a head start. In the case of landscape design LANDWorksCAD does not disappoint. The tools are well laid out, easy to master and reduce tedious tasks of planting, labeling, scheduling and reworking a design into just a few clicks. The plant database is a simple Excel file that you can edit yourself in Excel or very easily in LANDWorksCAD itself without needing Excel on your machine. There seem to be plenty of symbols to choose from and groups of symbol styles so your drawings don’t have to look anything like someone else’s. Some improvements could be made in relation to several menu options that seem to provide just a few too many options at first glance. 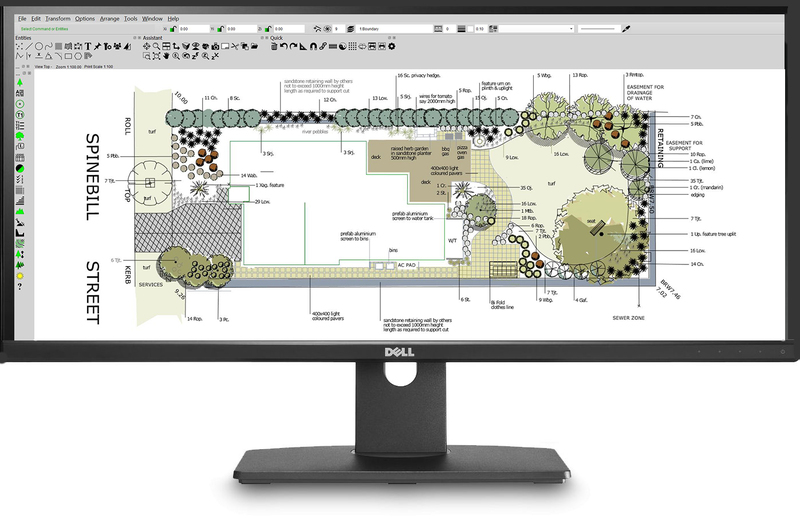 A point in case is the ability to select 3 different appearances for any plant you insert in your drawing (simple, detailed and bitmap/image), We’re not quite sure why they have this although there is an indication you could instantly produce planting plans from concept plans without redrawing. ‘Not sure if this is actually that practical? After talking with users we canvassed, we’ve discovered the database of plants supplied out of the box is not specifically for North America so if you’re in Canada or the USA you may need to add more of your most popular plant species into the mix. Pretty easy to do though, just type the name and pick a plant symbol to represent it or create your own. You’ll probably want to alter the plant list to suit your local nurseries stock list and local species anyway and this can be done using saved groups of plants called palettes. The developers of LANDWorksCAD seem to have strong grasp of what landscapers are looking to achieve and we received very positive feedback about the level of support available. This was definitely not the case with Vectorworks although we only managed a small sampling of users to interview in both cases so some areas may have better results than others. Landworkscad comes in a 2D version as well as a 2D/3D version and you can upgrade from one to the other as your needs exapnd. We don’t think the 3D aspects of either Vectorworks or Landworkscad are particularly brilliant and would suggest that if you’re thinking 3D for your presentations then a combination of LandworksCAD and SketchUp may be a good way to go.